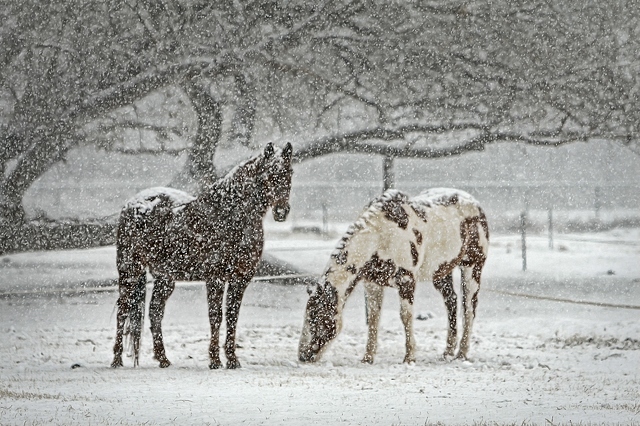 On this month's HORSE SENSE page, Mary A. Lainhart explains that the Personal Note this month is simple….surround yourself with all you love and what makes you happy. 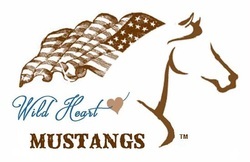 NEW WILD HEART MUSTANGS™ FOR 2017! 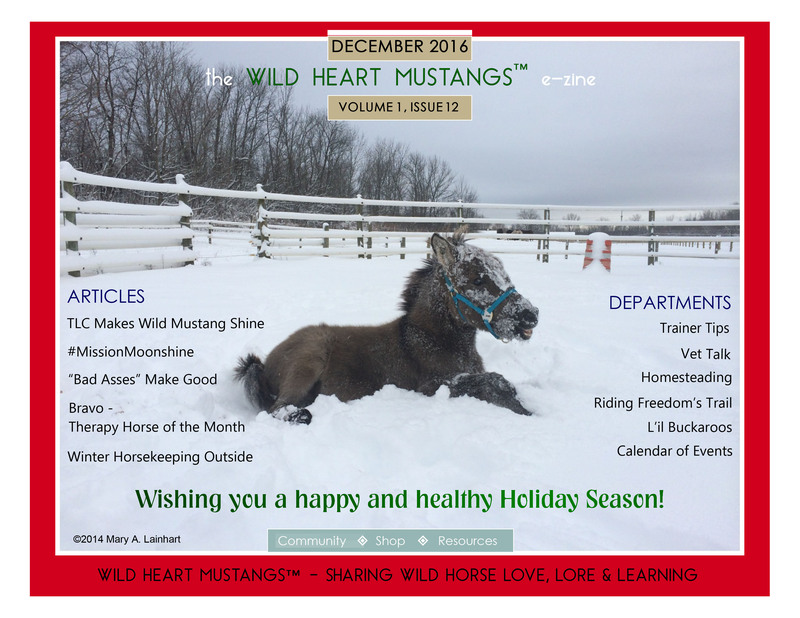 Wild Heart Mustangs™ e-zine will have bimonthly issues in 2017! Our first anniversary issue will be January/February 2017 and will be available on January 15th. 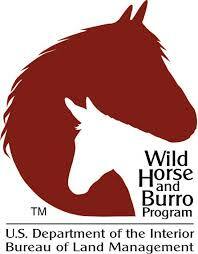 This marks Wild Heart Mustangs™ one year milestone! Issues following will be March/April, May/June, July/August, September/October, November/December - each available on the fifteenth (15th) of the month (March, May, July, September, November). 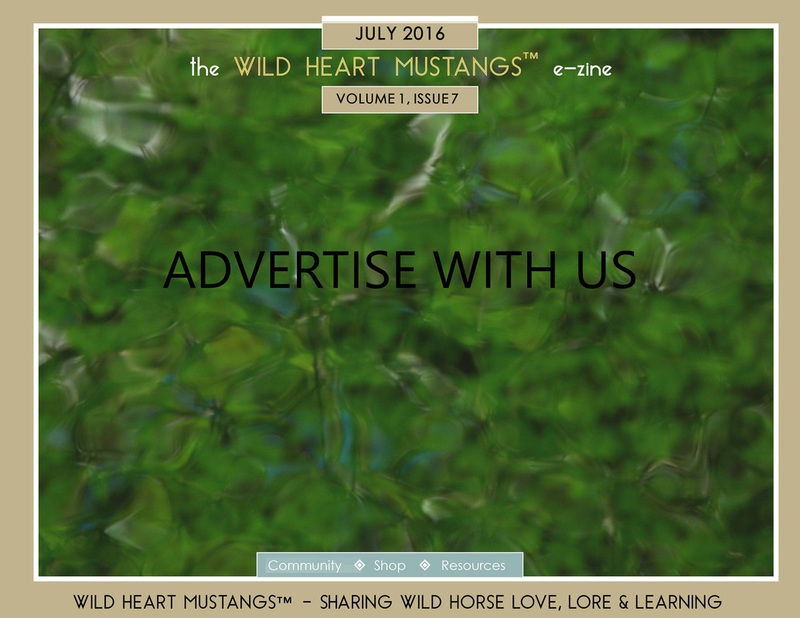 Wild Heart Mustangs™ will continue to bring you quality articles, information and stories focusing on mustangs, donkeys/burros, and mules. 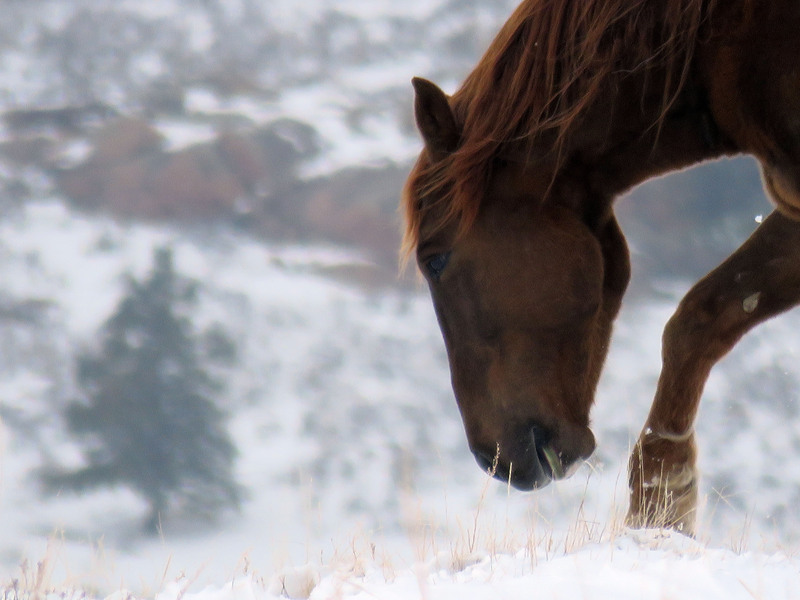 Each of our departments: Vet Talk, Trainer's Tips, Homesteading, Riding Freedom's Trail, L'il Buckaroos and our Calendar of Events and Resources will remain unchanged. 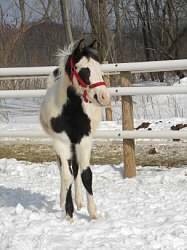 Featured on this month's cover is Sweet Potato the Lainhart's rescued mule. 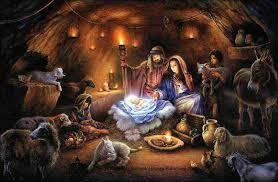 December marks the beginning of his new life at the Buck 'n' Mule Farm. 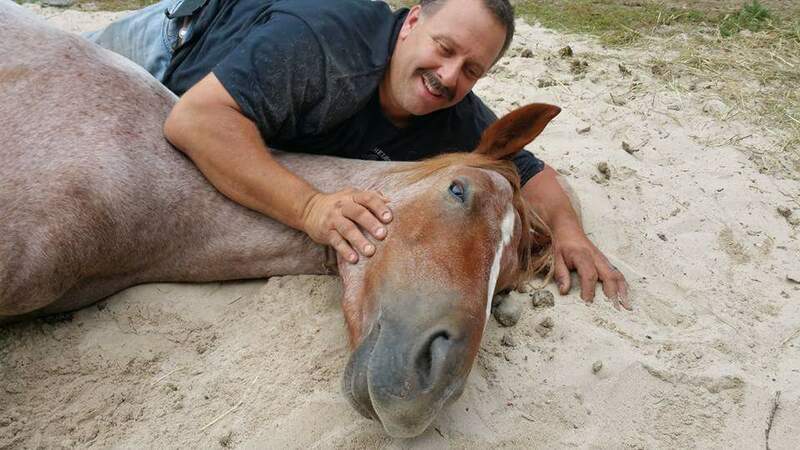 Read more about Sweet Potato beginning in the February 2016 Issue of Wild Heart Mustangs™. Follow his journey in the April, May and June 2016 Issues. 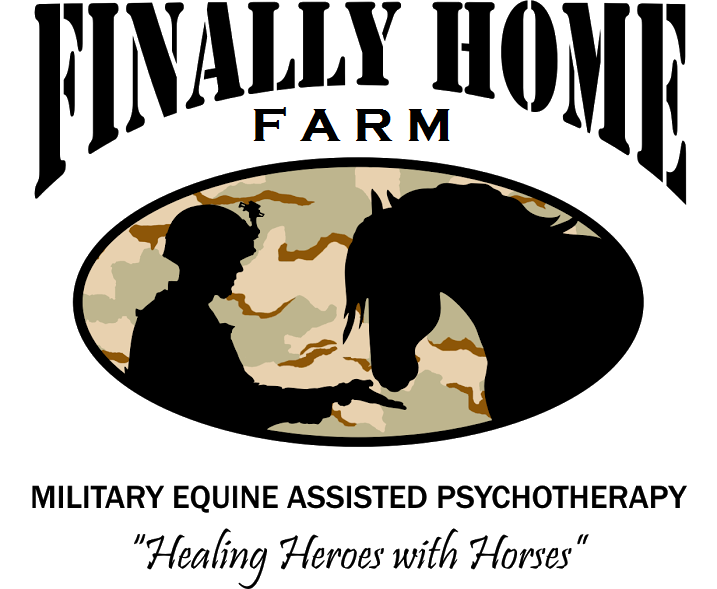 Finally Home Farm is a non-profit IRS 501(c)(3) public charity dedicated to healing our mentally wounded warriors through Equine Assisted Psychotherapy (EAP). 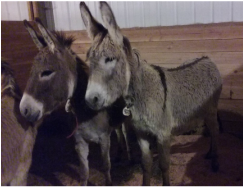 We are supported by the Greene County Career Center, using their Agricultural Research Center equine facility for private therapy sessions, year round, indoors or outdoors. We also serve police, fire and paramedic personnel who have suffered mental trauma on the streets. Our mission bring our heroes HOME in mind, spirit and body.